Falafel Recipe – This is popular Middle Eastern street food / fast food. 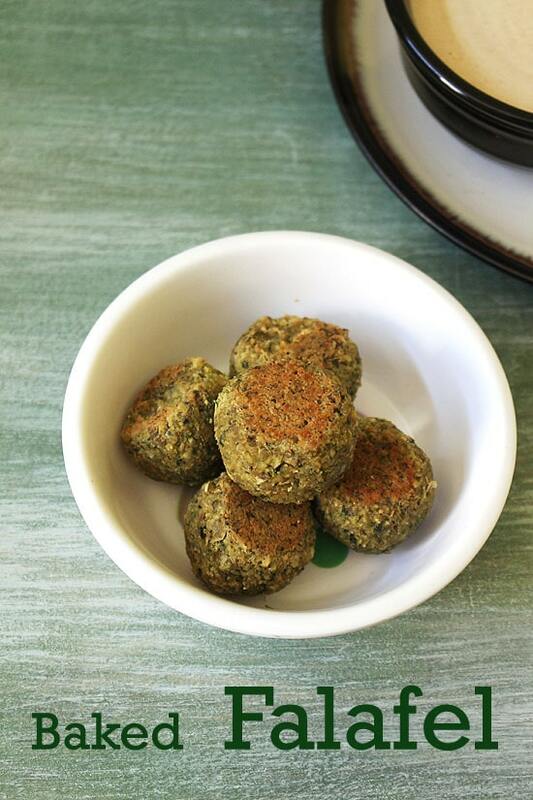 Today I am sharing the Traditional Classic Falafel Recipe and it is given to me by my friend who is from Lebanon. In the step by step photos below, I have shared the three different methods of making falafel recipe. 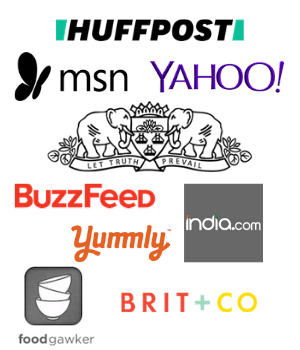 These are deep frying, shallow frying and Baking methods. Deep frying is the traditional way of making it. While rest two is on the healthier side. The taste is almost same for all but the texture is different. 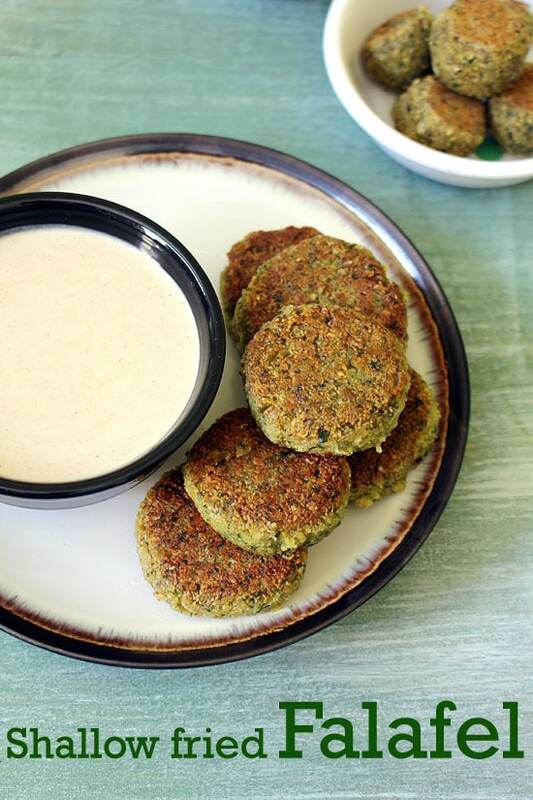 Fried falafels are crispy from outside while soft from inside. While other two will have less crispy texture. If I am making this to serve as a snack with dipping sauce, then I would go for deep fried falafels. If I am using them for making sandwiches, wrap or roll then I would go for baked falafel or shallow fried falafel patties. This recipe has been requested by few readers a long time ago. And I have tried them many times, but I always end up getting the dense and dry texture. After many trials I get to know that I was using all purpose flour for binding. And that was making it dense. But after trying this my friend’s authentic falafel recipe without addition of flour, I got the perfect texture. These are light, fluffy and not dense at all. Please follow all the steps carefully. Soaking beans for long period of time and resting the mixture in refrigerator for 30 minutes are important steps. Do not go for short cuts. 1) Wash dried chickpeas under running cold water till water runs clear. Or rinse them with water 2-3 times or till the water is not cloudy any more. 2) Soak them in enough water for 20-24 hours. Pay attention: we are soaking for almost 1 ½ to 2 days NOT overnight. If living in warmer climate and have fear of going bad then you can reduce the soaking time to 12-16 hours. After the soaking time they will increase almost triple in size. Drain the excess water completely. 3) Now take cumin seeds, coriander seeds and black peppercorns in a pan and turn the heat on medium low. 5) Remove it to a plate and let it cool down. 6) Then grind into a powder using spice grinder and keep it aside. 7) Now in a food processor, take parsley, cilantro and garlic cloves. 8) Pulse it few time till herbs are almost finely chopped. 9) Now add soaked, drained chickpeas, onions, freshly ground masala, red chili powder, salt and lemon zest. 10) Now start pulsing it. If needed scrape the sides and push the mixture inside. DO NOT add any water. Pulse till you get coarse mixture. We do not want smooth paste, stop once you get coarse texture. 11) Remove it to a bowl. Cover it and keep it refrigerated for 30 minutes. 12) After the resting time, remove it from the fridge. Start shaping into balls or patty. I like to make small to medium sized balls unlike the large balls we get outside. 13) Once you have shaped enough balls, heat the oil in a pan on medium heat for deep frying. Or choose other method below. Once hot add few balls into the hot oil carefully. Do not overcrowd the pan. Fry them in batches. 14) After sometime keep moving them for even frying and browning. 15) Once golden brown and crispy, remove it by using slotted spatula and drain the excess oil. 16) Keep them on paper towel lined plate and similarly fry rest. 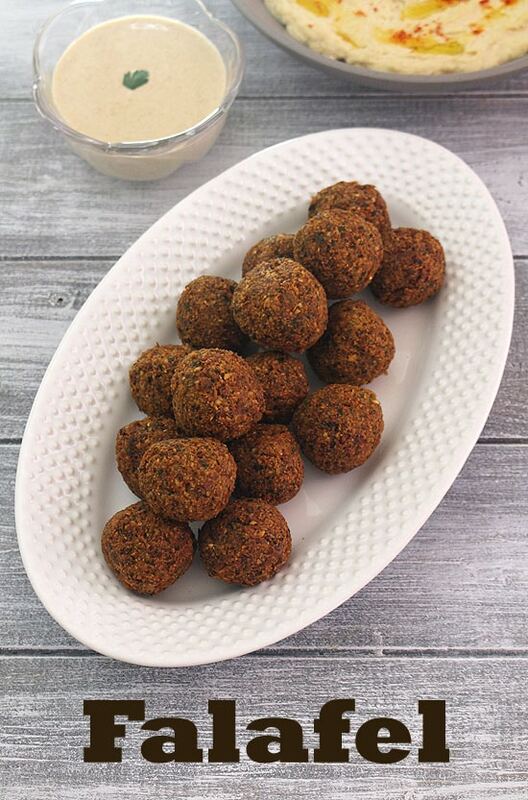 Serving suggestion: Serve falafel with tahini sauce, hummus or baba ganoush dip as a snack. It can be used for making falafel sandwich or wrap, roll. 1) Preheat the oven to 350 degrees F or 180 degrees C for at least 10 minutes. 2) Arrange the falafel balls on the baking tray. You can line the tray with aluminium foil for easier cleaning later on. 3) Brush the falafel with oil from all the sides. 4) Bake into preheated oven for 15 minutes. Then remove the tray, flip them and again bake for 10 minutes. So total 35 minutes of baking required. For shallow frying method, I always choose the patty shape instead of balls. So it gets even cooking and browning. 1) Heat 2 tablespoons of oil in a wide pan on medium heat. Once hot arrange the patty. 2) After few minutes, bottom is golden brown and crispy. That time flip them and similarly fry the other side. Once done remove from the pan and serve. Wash dried chickpeas under running cold water till water runs clear. Or rinse them with water 2-3 times or till the water is not cloudy any more. Soak them in enough water for 20-24 hours. Pay attention: we are soaking for almost 1 ½ to 2 days NOT overnight. If living in warmer climate and have fear of going bad then you can reduce the soaking time to 12-16 hours. After the soaking time they will increase almost triple in size. Drain the excess water completely. Now take cumin seeds, coriander seeds and black peppercorns in a pan and turn the heat on medium low. Remove it to a plate and let it cool down. Then grind into a powder using spice grinder and keep it aside. Now in a food processor, take parsley, cilantro and garlic cloves. Pulse it few times till herbs are almost finely chopped. Now add soaked, drained chickpeas, onions, freshly ground masala, red chili powder, salt and lemon zest. Now start pulsing it. If needed scrape the sides and push the mixture inside. DO NOT add any water. Pulse till you get coarse mixture. Remove it to a bowl. Cover it and keep it refrigerated for 30 minutes. After the resting time, remove it from the fridge. Start shaping into balls or patty. Once you have shaped enough balls, heat the oil in a pan on medium heat for deep frying. Or choose other method below. Once hot add few balls into the hot oil carefully. Do not overcrowd the pan. Fry them in batches. After sometime keep moving them for even frying and browning. Once golden brown and crispy, remove it by using slotted spatula and drain the excess oil. Keep them on paper towel lined plate and similarly fry rest. For Baking and shallow frying method, please see below instructions mentioned in step by step recipe. I don’t like cilantro so I substituted 3/4 cup chopped red cabbage and I added I teaspoon turmeric. Fall apart. They turned out very good and I served them with cucumbers, tomatoes and fresh book Chou. I served kefir as a dip. The recipe made more than I expected. How long will it keep in the refrigerator uncooked? very glad that recipe was helpful. The shallow fried falafel turned out really well! I didn’t have coriander seeds or parsley, so I left them out. It was so good though, my boyfriend loved them. We ate them all up. Even my 83 yr old mother-in-law who only eats “safe” foods thought it was “inoffensive”….I’ll take it. I actually tried to make falafel before with canned chickpeas, and they fell apart in the oil. This time, they stayed completely intact. I thought the insides wouldn’t cook through, but they ended up completely cooked and soft, with a crispy outer shell. I think I added quite a bit more than 2 tbsp of oil though, I basically poured enough oil so that the bottom of the pan was fully coated without having to move the pan around to distribute the oil. The falafel didn’t seem to absorb the oil very much at all, I think because my gas burner was set to “medium”, which I guess was high enough (and it didn’t splatter at all!). I cooked each side for two minutes. Beautiful, golden brown outcome! Thanks so much for the recipe! I will be making these again. true, the falafel made with canned chickpeas will fall apart and won’t taste good. Very glad to know that this recipe works out for you. 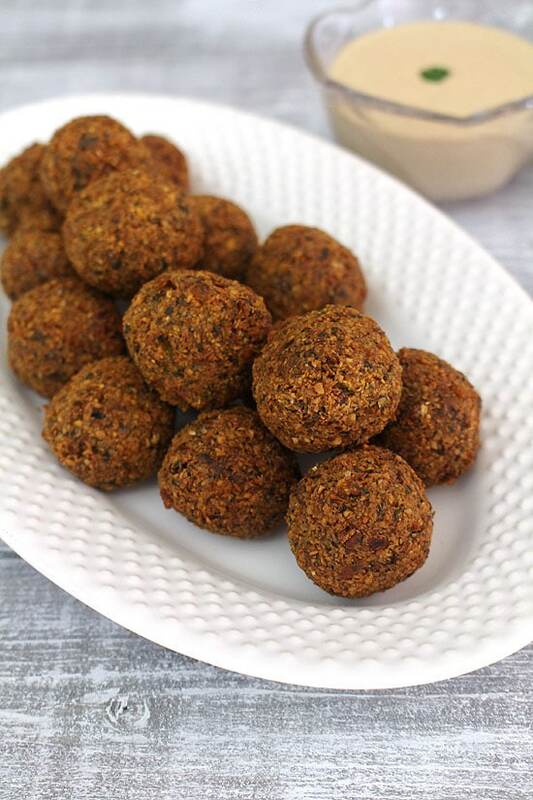 Falafel is a very difficult, I tried making falafels many times but the balls always blew when I added them in the oil, but this recipe my falafels didn’t blow up and didn’t get unclustered in the oil. 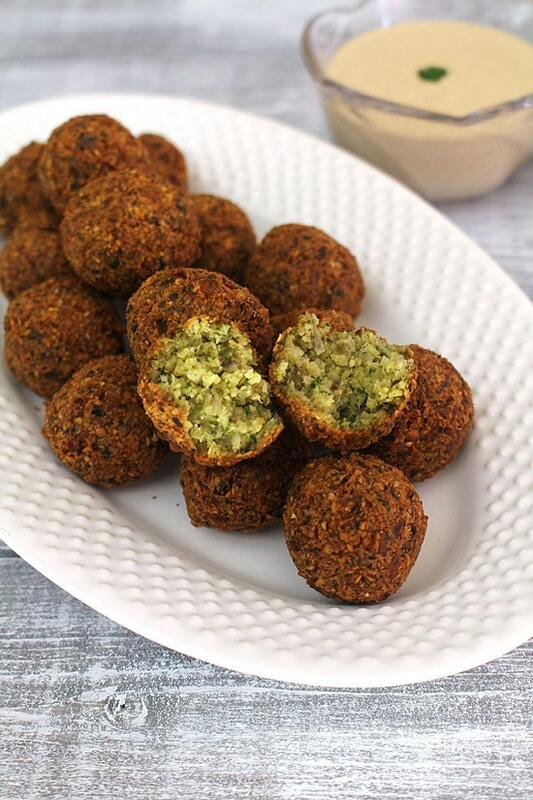 Thanks for this amazing recipe, finally I have found a great way to make perfect falafel balls. Glad to know that falafel came out good. Bravo making falafel from scratch. Never ever done that before. just used ready made falafel mixture. The taste is similar to the one we get in restaurants here in USA. But the texture is much lighter when compared to outsides.